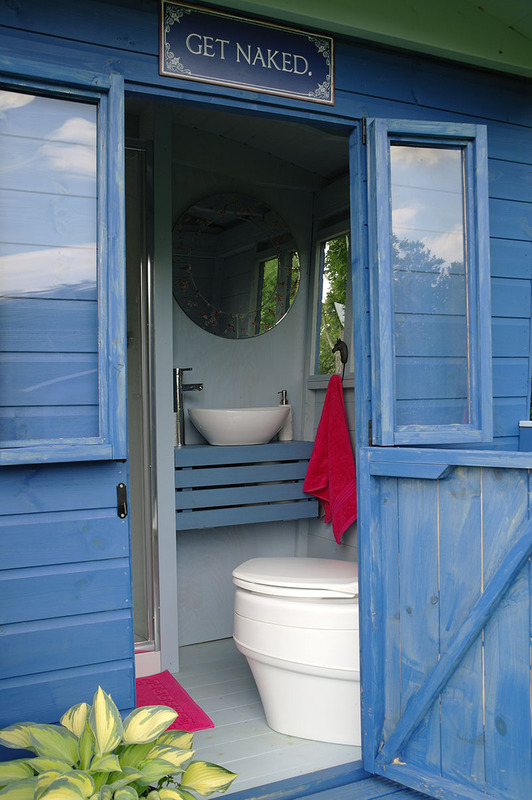 When Jenna started her own Glamping site on her family farm in the Northamptonshire countryside, she found herself designing and building her own bathroom facilities. The market did not cater for what she needed ... so, she decided that creating glamourous bathrooms could be the way forward. After a classic example of sitting round a kitchen table with friends Earth Closet was born. The morning after the night before Emma was on her usual two-hour journey to her corporate job, thinking about what had been discussed around the table. After a very lengthy phone call discussing what Emma felt Jenna needed to do, to make it a reality .... Emma became a director. So together with Jenna’s creativity, Emma’s knowledge of business, the concept of Earth Closet moved forward to where we are today. To create a product that is made well and individual to each and every client’s needs, as we know every Glamping site is unique. Sharing our knowledge and making friends along the way. Giving people the opportunity to be eco warriors and supporting the sustainability agenda. Providing a friendly homely, welcoming feel to the company.